Here is my Film and Analytics review of USC quarterback Sam Darnold. Here is my review of the Washington Redskins 2017 NFL draft class. Here is my review of the Buffalo Bills 2017 NFL draft class. Here is my review of the Los Angeles Rams 2017 NFL draft class. Here is my review of the Kansas City Chiefs 2017 NFL draft class. Here is my review of the Carolina Panthers draft class. Here is my review of the Philadelphia Eagles 2017 NFL draft class. Here is my review of the Atlanta Falcons draft class. Here is my review of the Baltimore Ravens draft class. 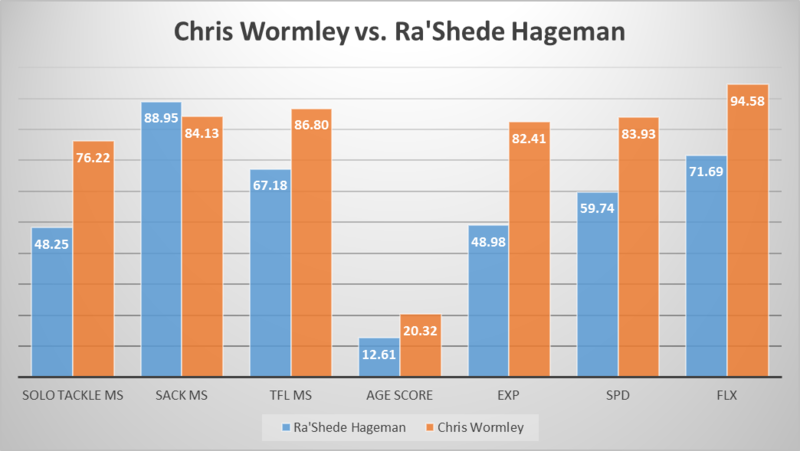 For some reason Wormley’s market share data was incorrect. Might have happened when he was switched from DE to DT group. The update improves his production scores. but his age remains a concern in terms of high quality outcomes. Here is my review of the Denver Broncos draft class.